"Broke Millennial takes the typical preaching and finger-wagging out of money lessons and replaces them with humor, empathy and a fun, pick-your-financial-path twist, while offering helpful and practical advice to successfully navigate all the financial questions you’ll face in the real world." "The ultimate millennial guidebook on money matters…. I highly recommend it." "My go-to personal finance book when I am working with millennials…. It’s filled with practical step-by-step instructions and guides that any twenty- or thirty-something can easily use to change their financial situation." 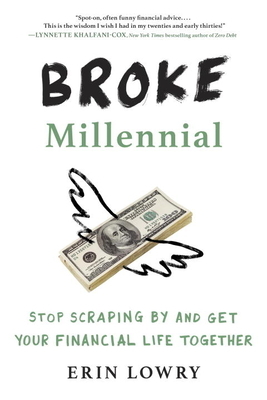 "If you’re looking for a book to give to a recent grad, your friend who has no idea what a budget is, or just want to read a personal finance book from someone like you who’s been there...you absolutely need to grab a copy of Broke Millennial." --Jessica Moorhouse, host of the Mo’ Money Podcast, founder of Millennial Money Meetup, and co-founder of Rich & Fit.